We're excited to announce that we will be carrying Eat Your Feelings Ice Cream! Join us this Saturday for a pop-up from 12-2pm. We will also be serving brunch from 9-2. Join us for the South of Seventh summer sample sale. Beginning @10am on Saturday 8/18 and Sunday 8/19. Join us for The Soft White Sixties pre-release listening party for their forthcoming bilingual album, 'Alta California'. Be among the first to hear the record, sneak a peek at the album art photography gallery, check out limited edition merch, enjoy craft food and beverages, and hang with the band here at RVCC Intersect. Over the course of several sessions that began on Election Night 2016, Alta California was written and recorded at New Monkey Studio, a room formerly owned by Elliott Smith. Produced by Elijah Thomson (Father John Misty, Delta Spirit, Richard Swift), Alta California finds the Los Angeles band expanding upon their contemporary concoction of rock ‘n’ roll and soul while also exploring some of their most relevant lyrical content to date (in English and Spanish). The sweaty, gyrating energy of their live show has garnered praise from Rolling Stone, Paste Magazine, and LA Weekly over the years and landed them on club and festival bills like Outside Lands, BottleRock, and SXSW, sharing the stage with the likes of The Hives, Rival Sons, The Flaming Lips, and Paul McCartney. *Those who attend the event will have exclusive access to ticket promos for the August 11th release show at the Bootleg Theater! Free Tacos 🌮 & Beer 🍺 provided by @oatly. Free 🌿 joints provided by @alanascoffee & @goodpeoplecoffeeco. Join us for Cali Coastal Culture's Summer Kick-Off event. THC + CBC infused cocktails and hor d'oeuvres will be served. Due to distribution regulations, all attendees must RSVP using this link. It is mandatory. 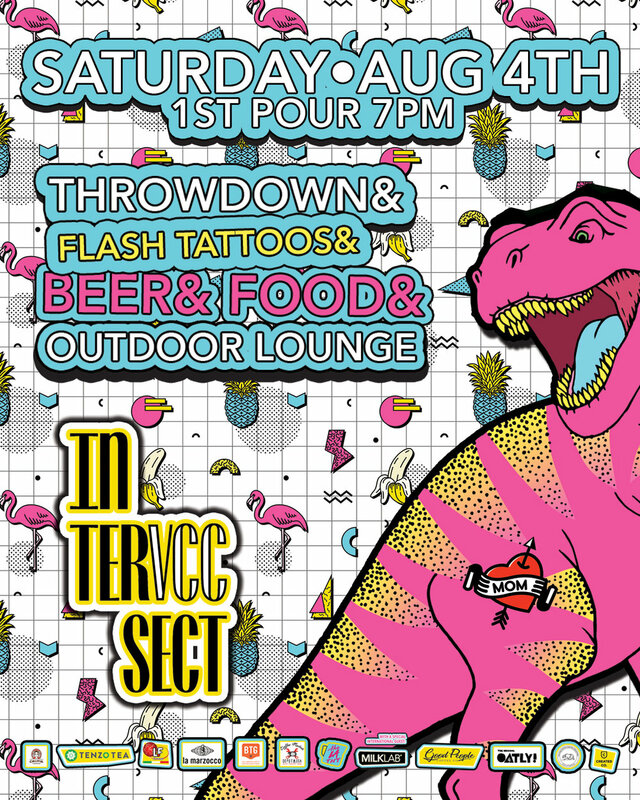 Join us Saturday, April 28th, as we welcome The Los Angeles River Tattoo to RVCC Intersect with a pre-opening party. Los Angeles River Tattoo, which is owned and operated by international tattoo artist, Stephen Carballo, will open its doors at RVCC Intersect on Monday, April 30th, 2018. Carballo, whose first shop opened in downtown Los Angeles in 2017, has spent the last decade traveling and tattooing around the world - from Sweden and Norway to Bali and Japan. The new shop is located inside the South Arts District’s newly opened espresso bar + lounge, RVCC Intersect, and incorporates the best pieces of Carballo’s travels and experiences around the globe. The interiors were designed and built by DTLA local, Ahdom Sayre. Los Angeles River Tattoo at RVCC Intersect will host local artists as well as a circulating program of international artists from around the world. Now Art LA and Link TV host an evening of Global Connection through Art and Activism. Following the screening of “Resilient Cities – Kiev: Art as Protest”, Now Art LA will moderate a live interactive dialogue between artists featured in the episode and local artists. Join us Saturday, April 14th, for the friends and family launch of breakfast at RVCC Intersect. Open to the public. 9am - 1pm. We're excited about this special evening. Don't forget to RSVP below; limited capacity.